Spring is officially here to stay. Daytime temps in my area of Japan have been consistently in the 60s Fahrenheit and will climb into the 70s this week. Night temps are still in the mid 40s, so I won't be leaving any plants out over night yet. 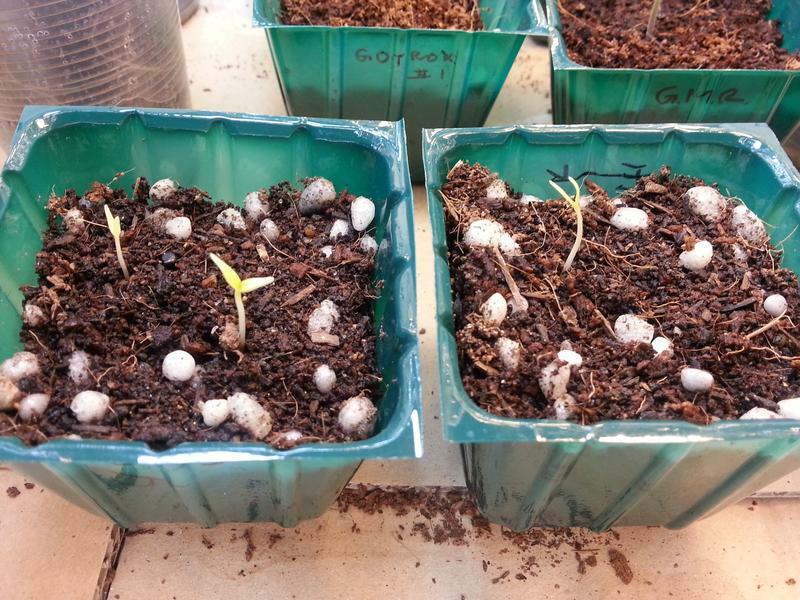 The group of seedlings that I have been hardening off will finish their 10th day as of tomorrow (Monday, March 24th). They definitely have slowed down quite a bit compared to the plants that are still in my grow boxes, but they do seem to be handling the change very well. They are not nearly as green as they were, but I'll chalk that up to environment change and needing some ferts. Current round of plants being hardened off. 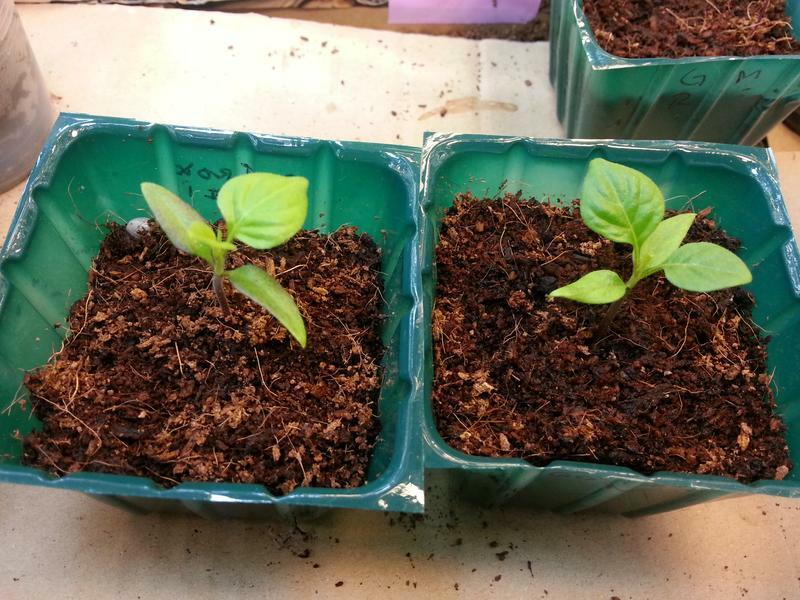 The two best chili plants out of the hardening off group are my Rocoto de Seda (left) and PI 355812 (right). 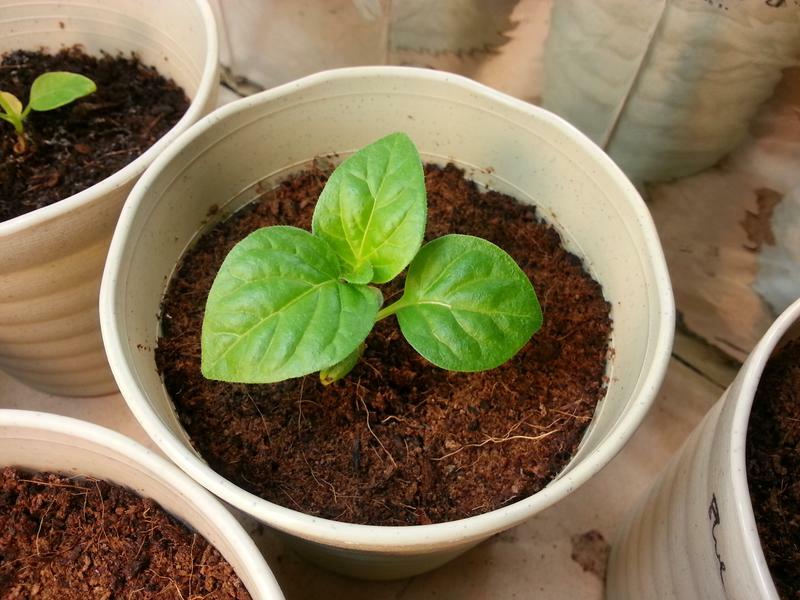 In other news, I now have three new chili babies! 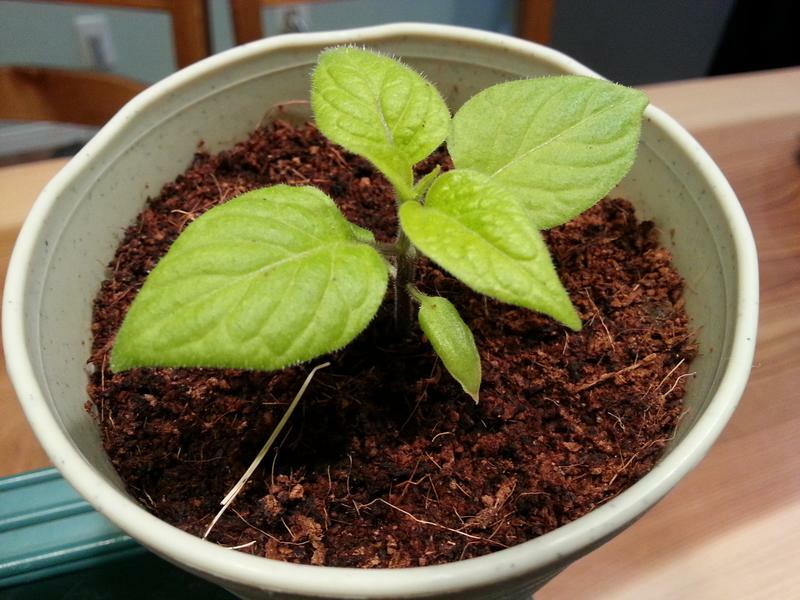 After repeated attempts, I was able to get two Aji Jovito seeds to germinate along with a lone Reaper. Hopefully the last two Aji Jovito and a couple more Reapers pop, but even if they don't I am more than satisfied. 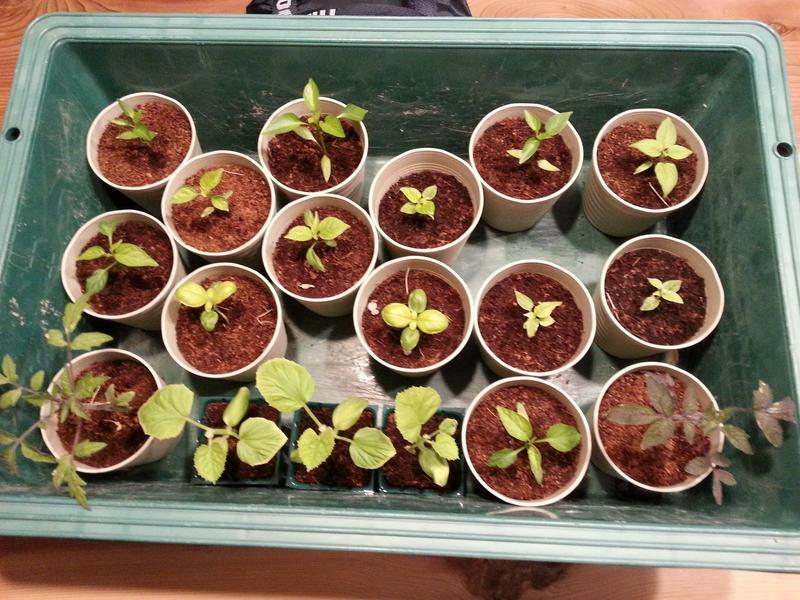 And luckily for these guys they will be going straight outside to grow up under the sun. 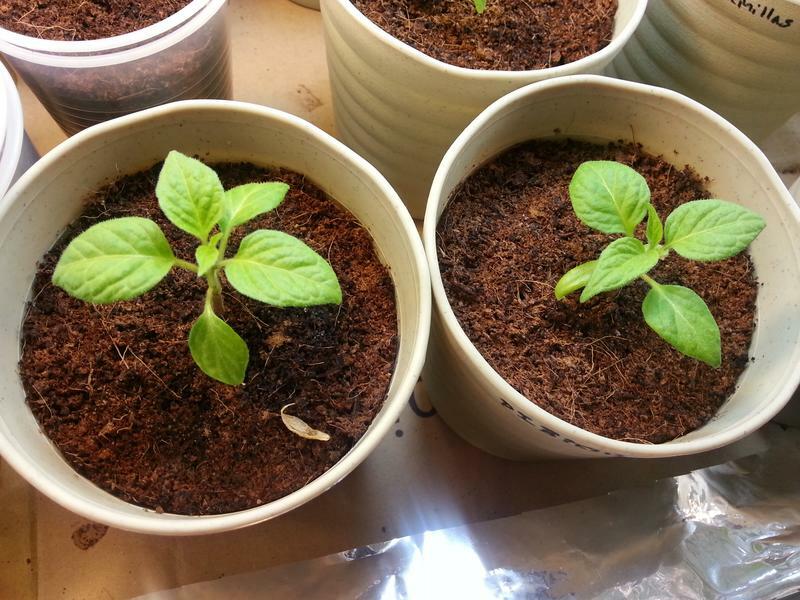 Aji Jovito (left), Carolina Reaper (right). These newbies' brothers and sisters are doing good too. 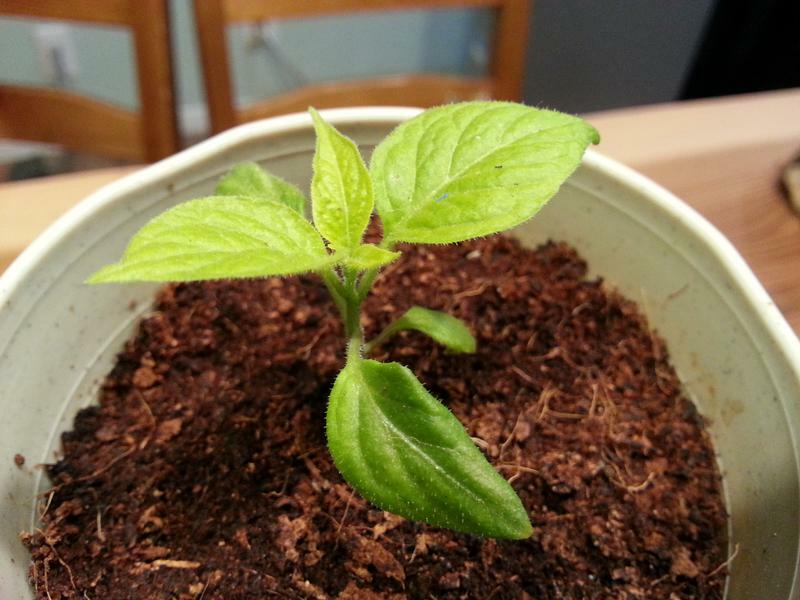 My mystery chilis from Gotrox are starting to put out leaves and judging from the leaves I would say they are definitely Chinense but we will see; I'm definintely looking forward to seeing what they produce. My unknown from Semillas.de is also doing fantastic, as are the two PI 355812 that I left in my grow box. From left: Gotrox mystery x2, PI 355812 x2, Semillas.de mystery. Overall things are looking up. My grow has been rather slow compared to others, but with Spring good and here, and with plenty of sun given the position of our house I think the rest of the year is going to be fantastic.